Students can meet with me privately at Black Squirrel, in their home, or at a location of their choice. 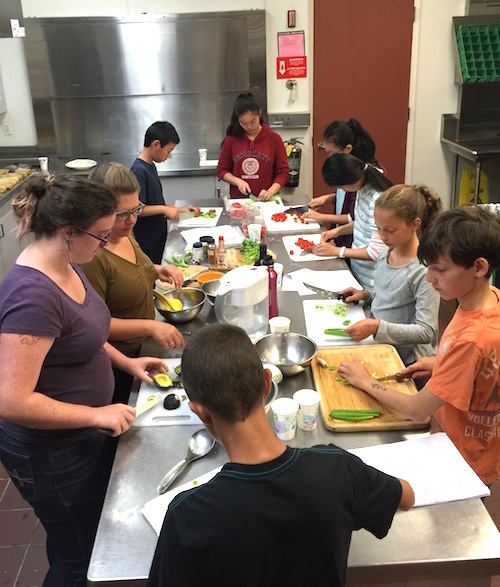 A one-hour class is $50 for private students, $85 for two students and $110 for three students. You too can decorate hats and fingerless gloves with adorable repeating patterns in contrasting colors! We will learn how to juggle two colors at once with smooth, even results. 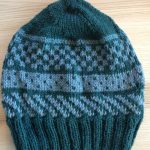 Students should know how to knit in the round with either cable or double pointed needles and 1×1 ribbing. Students should bring a very light and dark colored worsted or dk yarn, corresponding 16″ or double pointed needles, and a stitch marker. Save 10% on class materials purchased at Black Squirrel. 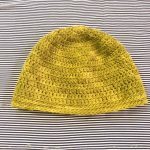 Join us and learn all you need to know to make beautiful beanies and slouchy hats in the round from the top down- it’s easier than you think. 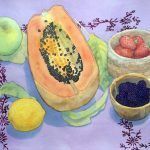 Beginning Watercolor Fridays 6:30-8:30 pm, February 1-March 8 (6 sessions) Albany Community Center 1249 Marin Ave Albany, CA 94706 (510) 524-9283. Enrollment is $129/res, $139/non-res. Discover how easy and beautiful watercolor can be. We will make delicate gradations, hard edges and surprising patterns with paint. Then we mix colors and create the illusion of shadow and light to create wonderful still life paintings. Drawing skills are not required for this class, and gentle instruction is provided as needed. A materials list is provided upon registration. 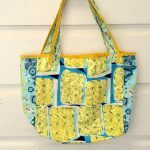 This is a great sewing class for beginners. Students will receive guidance on how to follow a pattern, use a sewing machine, tool review and simple construction techniques. Plus everyone will leave with a large bag, perfect for grocery shopping or to hold that massive shawl or sweater in progress. Students should bring at least 1 1/2 yards of woven fabric, or three yards if they would like to line their bag, matching thread, scissors, pins and a clear plastic ruler. (6 sessions) Albany Community Center 1249 Marin Ave Albany, CA 94706 (510) 524-9283. Enrollment is $129 /res, $139/non-res. 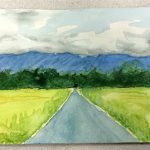 Learn how to apply layered washes, basic drawing and perspective to create simple and beautiful landscape paintings. Students should have taken beginning watercolor or an equivalent class. Drawing skills are not required and gentle instruction is provided as needed. A materials list is provided upon registration. Make Your Favorite Leggings Sunday April 7 12-3pm (1 session) at the Black Squirrel at 651 Addison St. just west of the train tracks, near Aquatic Park (805) 441-3886. Enrollment is $50. We all have them – that all-time favorite pair of leggings. And most of the time they’re either more worn than should be allowed in public, or well on their way. Or sometimes we wish they were just a little longer, a little higher-waisted, or had better elastic. 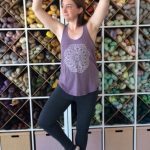 In this class you’ll get to make your perfect pair of leggings by using a pair of your own to make a pattern, and you’ll learn how to modify them to be even better than the original! Students will need to bring their own sewing machines, fitted with a ball-point needle (also called a jersey needle). We do have two machines to lend out for a very small additional fee, on a first-come-first-served basis, so please send us a direct message if you would like to reserve one. Also, be sure to bring a pair of leggings to copy, cotton knit jersey fabric with at least 5% lycra and basic sewing tools.